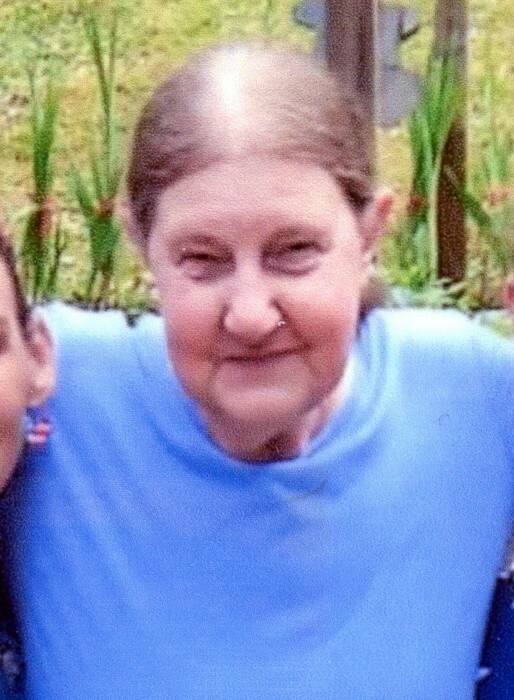 Florence Elizabeth Riley, 60 of Cleveland, WV passed away on Friday, June 22, 2018 at WVU Hospital Ruby Memorial. She was born March 15, 1958 in Jerry’s Run to Charles “Red” and Ressie Ann Fisher Cooper and was a homemaker. She attended Cleveland Methodist Church until it closed. She liked gardening, flowers, sewing, cooking, baking, and raising chickens and rabbits. She enjoyed spending time with her family, especially her granddaughter Brittney. Florence is survived by her husband Dana “Punk” Riley; sons Randy Cooper (girlfriend Judy and her son Wesley) and Steven Riley (girlfriend Kara); brother Bob Fisher; sister Norma (husband Delbert) Barbe; granddaughter Brittney; nieces and nephews David Springer, Becky (husband Jim) Collins, Shelia (husband Donald) Quinn, and Allen Barbe; and several other extended family and friends. She was preceded in death by her parents. Friends may join the family for visitation on Wednesday, June 27, 2018 from 10:00 to 12:00 at Jerry Run United Methodist Church, Cleveland, WV. Funeral Services to celebrate Florence’s life will be held at 12:00 noon with Pastor David Jesse officiating. Interment will follow in Riley Family Cemetery, Tazewell Road, Cleveland. Dodd & Reed Funeral Home is honored to be serving the Riley family.